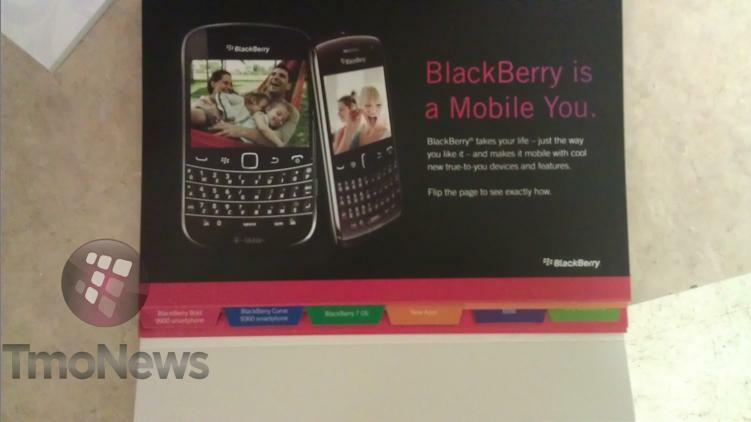 You are here: Home > Blackberry Curve 9360 Pamphlet Arrives In Stores, Phone Not Far Behind? 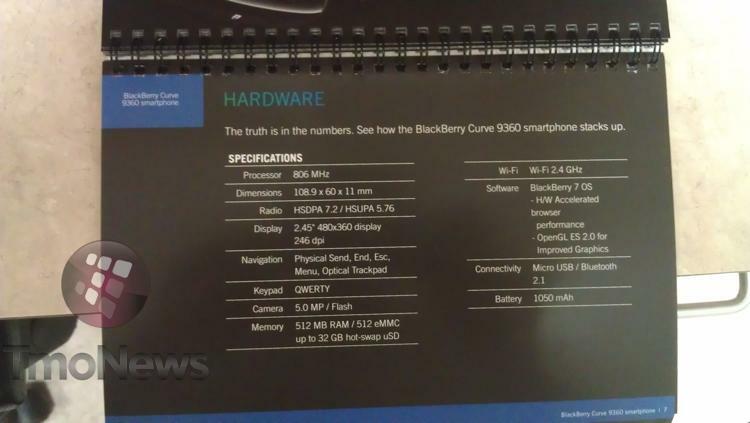 Blackberry Curve 9360 Pamphlet Arrives In Stores, Phone Not Far Behind? While the rumored September 14th launch date for the Blackberry Curve 9360 has come and gone, T-Mobile retail stores are beginning to receive documentation hopefully indicating that launch isn’t far off. A pamphlet detailing all of the Curve 9360 benefits has begun arriving at T-Mobile retail stores which is typically a pretty clear indicator that we can expect to see the Curve 9360 appear on store shelves sometime in the not so distant future. ← AT&T Talking To Rivals About Asset Sales To Save T-Mobile Deal? Ya OS7 has no UMA at launch. Future feature I guess. Another issue is the new Bold 9900 has battery life consistent with an Android device according to Phonedog. BlackBerry is losing it. Wasn’t there supposed to be a touchscreen Curve coming? Thus Curve is a big yawn. Both me and my wife have used BB’s for many years now. Even as other Android devices proliferated we kept using BB’s because of the many benefits it offered like UMA, cheap unlimited international e-mail and BB service. We basically overlooked the clunky interface and lousy Apps and the inability to install Apps due to lack of space. Do you know there is not even a free App to measure the internet speed for my BB! Anyway, the final insult from RIMM was when it made an exclusive with one of the larger providers (over T-mobile) for the touch BB (Storm?). That was the day I decided I am done for ever with BBs. We plan to switch to either a Samsung Galaxy II (depending on the processor, UMA and pricing) or a iPhone 5 (regardless of the carrier) if its features are worth the price. We already own iPad2’s so a hotspot addition to the SG II would do for us over the iPhone 5 if the latter does not have something that is better than SG II. I think the strategic planning by the leadership team at RIMM really drove the final nail BB’s coffin. The playbook (based on its QNX system) has flopped and watch out for $99 sales some time soon! RIMM RIP. Good thoughts, I still like uma on android better than rim. Seems easier to setup when you ready to use it. Use WiFi when you are overseers as much as possible. Save on chargers on roaming. Galaxy 2 looks very good. See what happens next month. Go with value plan 5gb Plus weathering. I hear ya on UMA, most underrated feature these days. Android on TMO has wifi calling which you can get changed to * free wifi calling * (not using your minutes) if you ask a CSR via phone or chat. Plus don’t you have to pay extra for BB service? Just don’t see a good reason to switch to one of these. Yes BES service is $5 extra a month. I was disappointed when I had to switch my exchange server service to from active sync to BES and then get hit by T-Mobile for $5 to switch them to BES. To top that off my Google business apps service was not quick and consistent on BlackBerry because they (at least in OS 6) did not have a push service that worked well both ways. 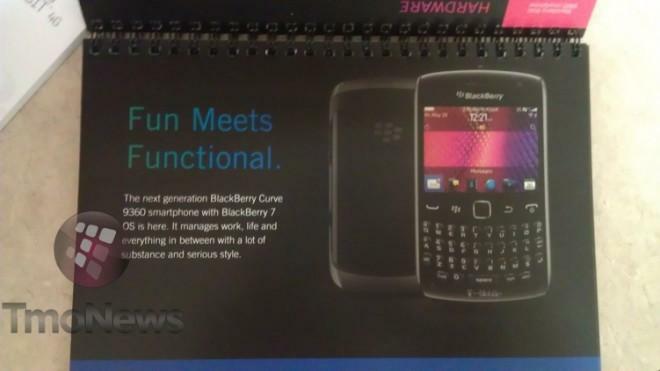 While the new curve looks great, it’s just a bit too behind the Bold 9900 to make the savings worth it. The Bold 9900 aside, for a low-end blackberry, you’re still getting more value (from a productivity perspective) from the new Curve over other “business” oriented phones like the Droid Pro or Motorola XPRT. Say what you want about RIM, but for business use, PIM data, and heavy messaging, they still offer the best products on the market. I expect this new Curve to do very well with teens, heavy text/BBM/emailers, and those just looking to give their current Curve a good upgrade.